From his very first experiments, he could see that these animals were unrelated to jellyfish. In fact, they were profoundly different from any other animal on Earth. Moroz reached this conclusion by testing the nerve cells of ctenophores for the neurotransmitters serotonin, dopamine and nitric oxide, chemical messengers considered the universal neural language of all animals. But try as he might, he could not find these molecules. The implications were profound. Read “Aliens in our midst” at Aeon. The online images were then randomly examined by the senior author (SLW) who determined that this distinctive species was not immediately recognizable as any previously described species. Links to the images were forwarded to additional experts in chrysopid taxonomy to elicit comment on its possible taxonomic identity. After extensive discussion it was concluded that the species was likely new to science but its generic placement inconclusive based solely upon the images at hand. I find it fascinating that the distinction of a new species is keyed on a morphological difference like this. While I know nothing about the chryopidae, and this is just a lay comment, but substantially larger variations occur in dogs without driving the claim of a new species. Does anyone know what makes for a new chryopid? Photo by Kurt, aka Hock Ping Guek. All Streets consists of 240 million individual road segments. No other features — no outlines, cities, or types of terrain — are marked, yet canyons and mountains emerge as the roads course around them, and sparser webs of road mark less populated areas. More details can be found here, with additional discussion of the previous version here. 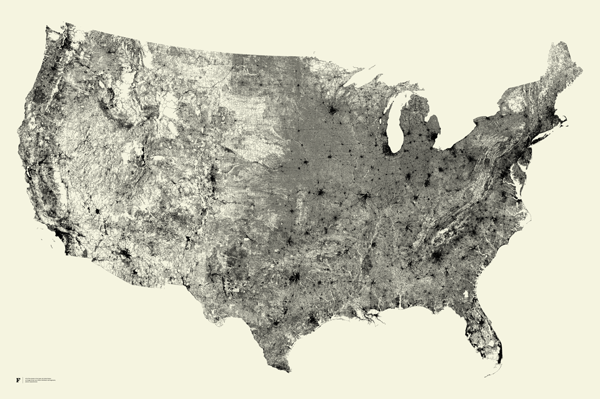 The result is a map made of 240 million segments of road. It’s very difficult to say exactly how many individual streets are involved — since a winding road might consist of dozens or even hundreds of segments — but I’m sure there’s someone deep inside the Census Bureau who knows the exact number. Which raises a fascinating question: is there a Platonic definition of “a road”? Is the question answerable in the sort of concrete way that I can say “there are 2 pens in my hand”? We tend to believe that things are countable, but as you try to count them in larger scales, the question of what is a discrete thing grows in importance. We see this when map software tells us to “continue on Foo Street.” Most drivers don’t care about such instructions; the road is the same road, insofar as you can drive in a straight line and be on what seems the same “stretch of pavement.” All that differs is the signs (if there are signs). There’s a story that when Bostonians named Washington Street after our first President, they changed the names of all the streets as they cross Washington Street, to draw attention to the great man. Are those different streets? They are likely different segments, but I think that for someone to know the number of streets in the US requires not an ontological analysis of the nature of street, but rather a purpose-driven one. Who needs to know how many individual streets are in the US? What would they do with that knowledge? Will they count gravel roads? What about new roads, under construction, or roads in the process of being torn up? This weekend of “carmageddeon” closing of 405 in LA, does 405 count as a road? Only with these questions answered could someone answer the question of “how many streets are there?” People often steam-roller over such issues to get to answers when they need them, and that may be ok, depending on what details are flattened. Me, I’ll stick with “a great many,” since it is accurate enough for all my purposes. And second, despite what I wrote above, it’s not the whole country that emerges. It’s the contiguous 48. Again, watch those definitions, especially for what’s not there. Donors for allogeneic stem-cell transplantation are selected based on their HLA type (tissue type), and not on their blood type. Therefore, it is quite common that the donor and patient have different blood types. The blood type is determined by the red cells. After transplant and bone-marrow recovery the red cells will come from the donor and have the donor’s blood type. As an example, if the patient is blood type A, and the donor is blood type O, the patient after transplant will become blood type O. The long-term outcome of an allogeneic stem-cell transplant is affected only to a small degree by the blood types of the donor and recipient. If an ABO difference exists, the transplant itself may create some technical difficulties, but these can be easily overcome. Red-cell recovery may be delayed after such transplants, and the patient may need support with red-cell transfusions for a prolonged period of time. More importantly, the patient should be aware that the blood type has changed or will change, and that old blood type cards are no longer valid. IBMT will provide you with a laminated card that indicates that your blood type may have changed. After your bone-marrow function has fully recovered, you may receive red cells of your new blood type. During the transplant process, usually red cells of blood type O are used, since these can be used for any patient (universal donor). The Seattle Cancer Care Alliance is the #1 by volume in the U.S and does several thousand per year. So that means several people per day are having their blood type changed right here in Seattle. Does your database and e-health record support updating your blood type record? Congratulations to the CVE team! 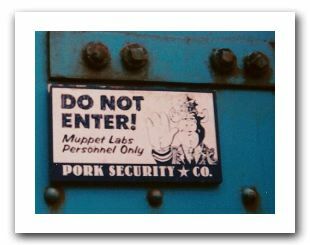 The CVE Web site now contains 30,000 unique information security issues with publicly known names. CVE, which began in 1999 with just 321 common names on the CVE List, is considered the international standard for public software vulnerability names. Information security professionals and product vendors from around the world use CVE Identifiers (CVE-IDs) as a standard method for identifying vulnerabilities, and for cross-linking among products, services, and other repositories that use the identifiers. See the CVE News page. I remember proposing that we have a CVE-1. I’m tremendously proud to have helped get such a useful thing off the ground, and really happy for the CVE team. Before Bruce Schneier started using the term, “Security Theatre” was a term I heard from what I call Real Security People. I was designing a security-oriented NOC, and I interviewed people who built secure sites for a couple of governments, banks, and others. They said that what The Adversary thinks you can do is more important than what you can do. I was told that perception is the majority of security: “Maybe not two-thirds, but definitely more than half.” As the team built the system, we took this to heart, which made it more fun, at the very least. But I also heard from someone I know who nmapped our system and received an nmap in return that he decided it wasn’t a good idea to go further. In that case, at least, the security theatre worked. We also used a bit of security-through-obscurity. We tweaked some of our network protocols so that they were merely incompatible with the off-the-shelf stuff. Our protocol banners lied. We particularly enjoyed having them declare that they were known vulnerable in odd ways. It was at least informative that the random attacks that came by were not tailored. No one ever tried Sparc vulnerabilities on that server claiming to be SunOS 4 with Bind 3. They hit it with the Windows buffer overflows anyway. That was disappointing, but we also learned an important lesson — the only people who care what your banners say are the good guys. The bad guys find it more economical to just spray you with whatever exploits they have in their bag of tricks. Or at least most of the bad guys. Security through obscurity has gotten a bad rep in part because there are people who think that merely by being obscure is being secure. There are also people who think that a mediocre security system can be made secure by being obscure. If, however, you start with good security and then put a bit of obscurity on the top, it’s a bonus. 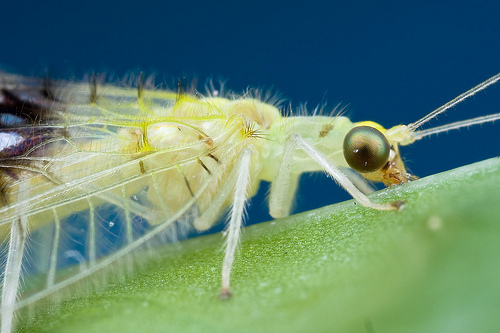 Think of security as armor and obscurity as camouflage. Camouflage is not armor; obscurity is not security. People who tell you it is are trying to sell you something. However, if an attacker is faced with armored things that are also camouflaged, their job is harder. If you back up the camouflage with good log analysis, then you can take the element of surprise away from the attacker. The total effect is good security theatre, a theatre that might result in deterrance. Just be honest about it, especially to yourself. If the attacker discovers you have no armor behind the camouflage, then you have a well-prepared opponent. There are other reasons to eschew obscurity. It isn’t scalable, and it doesn’t lead to market solutions. You can’t shop around for the best obscurity. The notion of a global secret is somewhere between ironic and silly. This is why DRM systems don’t work against determined attackers. However, not everything needs to be open, scalable, and market-driven. If you are building a system that is closed, proprietary, and local (such as the secure NOC I was working on), obscurity can be a valuable spice in the dish that makes a tasty meal tastier. We are also seeing changes in the threat model that justifies a revision in our defense model. A few years ago, the attackers were using broadcast attacks. They didn’t look at the lies we told them because they were unskilled attackers throwing all the handy exploits they had. They wouldn’t see embarrassments that didn’t fit their model. I have a story about that I’ll post soon. The trend in attacks is that they are becoming slow, targeted, and with a clear goal — money. They also want not only to succeed, but to succeed undetected. A measure that increases the attacker’s uncertainty increases the attacker’s risk of being caught. Here’s an informal example. Suppose I divide my system into an external “red” network and an internal “black” network. All connections use TLS with AES-256, but on the black network, we are not using standard AES, we’re using a modified AES that real cryptographers agree is as secure, just incompatible with AES; call it AEN for Advanced Encryption Non-standard. Cryptographers have a formal notion of this that they call “family keys.” AEN is my spice. On the black network, you’re expected to use AEN. We just compiled it into OpenSSL where AES was supposed to be. The resulting system is just as secure as one that uses AES everywhere, but has this extra little twist. It makes the attacker’s job harder, and makes our job of detecting an attack easier. It has costs, of course, which you can think of as well as I can. But in my system, which is not only closed, but I want to be closed, they’re not bad costs to pay. Even better, if I publicize that I’ve done this, I might convince an attacker to target someone else. If you remember that obscurity is not security, that it is camouflage rather than armor, that it is not scalable, that it is only as good as the obscurity itself is, there might be places you can use it effectively. Also, not all security theatre is bad. What is bad is only having theatre and not backing up obscurity with real security. Photo of theatre security courtesy of Luigi Rosa. This is in Harpers, “The Ecstasy of Influence.” It is an interesting meditation on the nature of art itself and how art is composed of other art. However, not only must you read this, you must read it all the way through to understand it and why it is important. The periodic table is under-appreciated as a design masterpiece, and as an iconic representation of science. The table works as a taxonomy, showing someone who knows how to read it a great deal of information about the elements based on their arrangement in space. 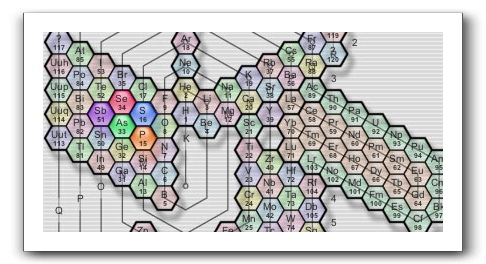 The Periodic Spiral envisions a remedy to the flaws in conventional periodic tables by illustrating hydrogen’s ambiguous relationship to the noble gases and halogens while recognizing its relationship to the alkali metals; it also fully integrates the lanthanons and actinons into the design. Do Kings Play Chess on Folding Glass Stools? Anyone else curious about these? Less than a year, and three new classes of vulnerabilities? Come on Window, you left Microsoft, you can speak up now! Steffan, spill the beans, give us details! So, here are the details. No, just kidding. I can’t talk about the details, but what I can talk about are taxonomies. I can talk about taxonomies for hours. I think, by analogy, that stack smashing may be an order. Perhaps a family. Closely related are the integer overflow and format string. Each places code in the expected path of execution, overwriting it. More distant are command stuffing (my term for the classic “; echo $stuff > /etc/passwd”) or sql injection. Cross site scripting belongs to the phyla of code/data separation, or perhaps the family of output validation. I’m not sure if there’s a taxonomy here at all. By taxonomy I mean a repeatable, exclusive, reproducible system of questions that a variety of experts can ask of a sample and classify it in the same way. To be a taxonomy, you need exclusivity. You can’t be both a person and a penguin. Not all data fits neatly into taxonomies because of that exclusivity requirement. You can, for example, be both a Mac and Windows user. Thus, being a Mac or PC user isn’t a good taxonomic classification. What’s the natural ordering of relations of emergent phenomenon? Oh, the title? It’s a memonic for the Linean taxonomy of life: kingdom, phyla, class, order, family, genus, species. 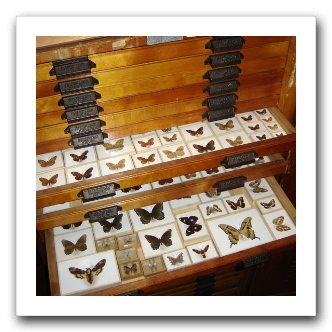 And the photo is Drawers of Curiosities, by smalleyta. Last year, for example, America’s president, vice president and defence secretary each got a beetle (Agathidium bushi, A. cheneyi, A. rumsfeldi) courtesy of two Republican coleopterists. Admittedly, the beetles in question eat slime mould, which caused a few titters among taxonomists of a Democrat persuasion, but it is clearly an act of gross speciesism to criticise the dining habits of other organisms, so the titters were sotto voce. And it is not only politicians who are benefiting. Sting, a musician, has his own tree frog (Hyla stingi), and several spiders also bear the names of entertainers (Calponia harrisonfordi, Pachygnatha zappa) who clearly have taxonomists as fans. Ironically, the last post I offered up on this subject was “A Profusion of Taxonomies,” after which, on that topic, the rest was silence. 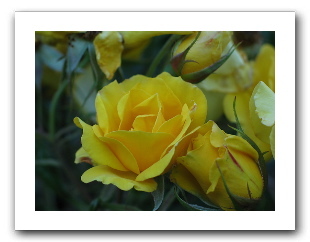 “Portland 151” rose photo by Brian Lopez.